Very True. I think we as a bhartiye first should study if not all than atleast important point of our samvidhan. The points reflected in this article — about article 370 and other I think many of us are unaware of these details. 99 out of 100 says hindi is national language but constitution says it is only official language. Mukul bhaiya it would great help if you can also give some links or reference material to read with your articles. what a great and tempting topic…..i m totally agreed with u that our constitution is not useless but it is used less…and most of us dont even know what it contain , that is reason why the they are not implemented in our daily lfe. your vision is too good. we people must be think about the system of law. Very serious matter. The whole procedural system is based on mistrust . It is presumed wrong action would be every stage. Truly said, that ”Each nation has its own evolution” and bharat has put its steps for the same. India is the only country in the world which is rich in every thing !!!!!!! how to read this in Hindi or Marathi…??? is indian costitution suitable in present scenerio? bharat ka samvidhan jab banaya gaya tha to is object sa banaya gaya ki bharat ki agadi ka bad bhartiya sasan sarvashrast sasan hoga .sarkar janta ka pasti utardai hogi.kisi ak ko saktisali nahi banaya gaya.sabhi par lagam ka liya savidhan ma niyam banaya gaya,jo ak dusara ka parti utardai hoga. parantu aaj ka nata ya nahi dakhte.agar sarkar hi disahin ho jayagi to dais ka.jarurat hai daish ka yuavo ko aaga anaki jo apna dais ko lutna sa bachaya.kuki agar abhi nahi to kabhi nahi.jai hind!jaibharat! Bhima tuzya mule yaa jivnache sarthak zaale.nahi tar kahi kutrya mavvadyani jagne kathin kele aste. 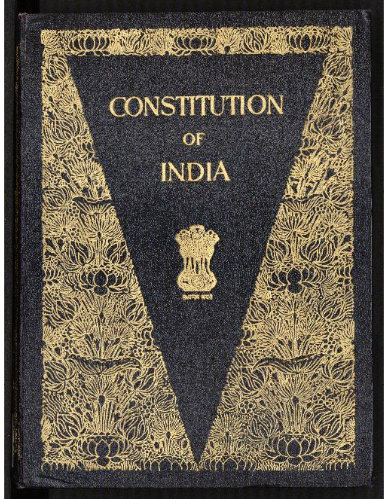 We are very much proud of our constitution.Its all topics should be taught compulsorilyin all graduate and post graduate classes.Let Universities organise workshops for police,politicians and policy making authorities throughout the nation.Then only we will understand the samvidhan. jo bi ajkal ho rha he sanbidhan me he jo government karti he vo bi sambidhan me he. 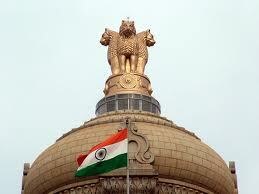 I proud of indian….we can say that proudly great nation of india of all over world. school me 10 kasha se colleage t.y. 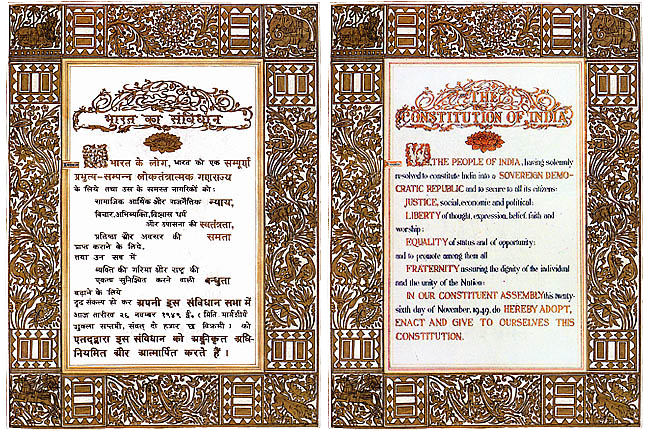 tak complersorry sanvidhan padhaya jana chahiye..
its true still so many peoples don’t know who wrote our constitution, its time to make some change in self, first we should have to read our constitution, its importants all articles n its all scheduled, its great valuable n significant to our society. Hindi hamari matri bhasa h samvidhan ke kis anuccheda me likha h?